Imagine you are working until midnight. One night when an annoying message pops up on your PC screen. It says somebody has taken control of your entire network and now, you don’t have access to any of your important files, documents, and accounts — until or unless you pay a fee for that. You have just become the victim of ransomware. It sounds like a spy thriller, but ransomware attacks happen to millions of businesses, organizations, and individuals every year. Ransomware is a type of malicious programme, or malware, that locks users out of their systems. The attackers demand a ransom from the victim to restore access to the data after payment. Instructions for payment are shown on the computer to get the decryption key. The ransom can vary from a few hundred dollars to thousands. The common types of Ransomware are CryptoLocker, CryptoWall, CTB-Locker, Locky, TeslaCrypt, TorrentLocker, Petya, WannaCry, and BlackRouter that can infect your files. 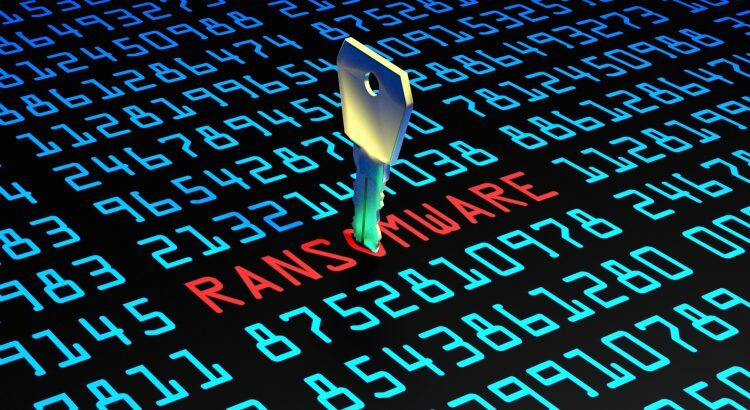 How Does Ransomware Affect Your Files? If you are running on older version of Windows. We’ll highly recommend you to update your system to Windows 10. Microsoft is no longer supporting Windows XP or Vista or other older versions and continue use of those version makes you the prime suspect for cyber-attacks. For those who are using Windows 7 or newer versions of Operating Systems, ensure that you’ve enabled Automatic Updates so new security patches are installed as soon as they are available. Apart from keeping your system up-to-date with latest security patches, antivirus is mandatory to protect your system from virus, malware and other online threats that infect your computer. Most of Antivirus are capable to detect and neutralize the ransomware. Download the antivirus software such as McAfee(link), AVG(link), Bitdefender(link) etc. and keep it up-to-date, so it can block the latest emerging malware. If a hacker hacks your computer, you can protect yourself with a backup of your data and store it somewhere else such as a physical hard drive. Backup the data on a regular basis. When hacker takes access to your computer, you could simply erase all the data from your computer and restore it from your hard drive. In general, you should be storing one copy of your data in the first place, in case your computer fails or is lost. To be extra secure from hackers, after restoring the backup of your data onto an external drive, unplug the hard drive from the system and out it away. Beware of suspicious emails and pop-ups and avoid browsing the link inside the dubious emails. Actively applying email filtration to spot fishy emails that are probably dangerous and are not usually used to day-to-day work can lower down the risk of ransomware. You can also look for noticeable typos or grammatical errors in email body. Hover over the hyperlinks (without clicking on them) to check whether they direct you to a suspicious web page. If you have received an email from bank, credit card company or internet service provider, keep in mind that they’ll never ask for sensitive information like password or social security number. But in some extreme cases, it may make sense to pay a ransom if you don’t have backups and encrypted file are critically important. With WannaCry, users don’t need to pay the ransom. Because Hackers are evidently overloaded with requests from victims asking for their data to be released and numerous who have paid the payment are not hearing back.